These are not simple economic times, and many of us have had to make sacrifices and find ways to do more with less. For many, an obvious sacrifice is vacation, but we’re here to show you that it is possible to travel and have a great time even while on a tight budget. Every state and province in North America has these types of opportunities, but in this article, the focus will be on Virginia. The Appalachian National Scenic Trail is a marked hiking trail that runs for approximately 2,184 miles from Mount Katahdin in Maine to Springer Mountain in Georgia. More than a quarter of the trail is in Virginia. Visitors can hike and bike the trail, and get access to secluded wilderness areas, national parks, formal campgrounds and areas to fish. Some of the parks and campgrounds do have fees, but most of what the Appalachian Trail offers is completely free. You can easily create a family adventure that costs nothing other than food and supplies and travel to and from the trail. Virginia offers a wide selection of beaches for tourists to enjoy. The most famous and popular of those beaches is Virginia Beach. All public beaches in Virginia are free. They generally do require a fee for parking, but visitors can even avoid that if they’re willing to walk a few blocks. There are restaurants and vendors, especially near the boardwalks, but beachgoers can also bring their own food and non-alcoholic beverages. Lifeguards are on duty from 9:30am-6pm. Surfing is allowed, rollerblading on the boardwalk is allowed, and there are areas assigned for dogs. The Virginia Zoo is an excellent budget option. Kids from age 2 to 11 get in for $9. Younger children get in free, adults for $11, and senior citizens for $10. The zoo is open from 10am-5pm, and a ticket gives you all-day access. The zoo is immense, and there is so much to do that you likely can’t do it all in a single day. Almost all of the activities in the zoo are free, but the train, which is one of the most popular, costs an additional $2 per head. 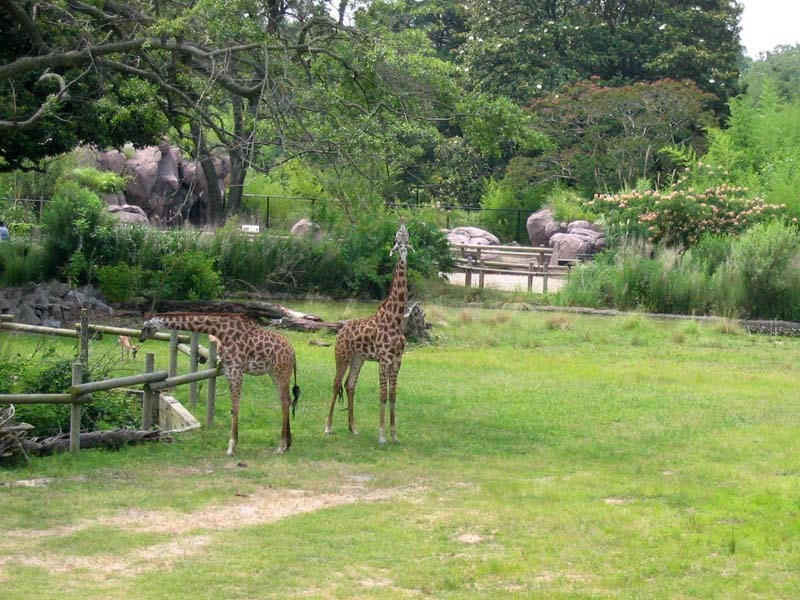 The zoo offers many dining opportunities, but families can pack their own lunches and dinners, and there are picnic areas where you can relax and eat. Colonial Williamsburg is a wonderfully diverse area with a lot to do, and outside of the immediate area, there are numerous battlefields and historic sites. The majority of these places are completely free to visit. Even places within Colonial Williamsburg that charge usually only charge a few dollars or so. The biggest costs associated with the area are food and lodging. You can limit food costs by bringing your own, and you can save a lot by staying at a motel just outside of Colonial Williamsburg. Virginia provides numerous opportunities for boating and fishing, and it is certainly possible to have a good time on a limited budget. If you plan to captain a motorized boat, the state does require you to pass a Virginia boater safety course, but it also accepts the equivalent from another state or province. Also, Virginia does have freshwater fishing licenses, but they are only used in specific areas. There are numerous lakes and rivers in the state where you can camp and fish without paying anything at all. So grab your backpack and head for a fun-filled adventure in Virginia! Disclosure: This post was provided and brought to you by Boaterexam.com. Very nice post. I had no idea there was so much to do in Virginia. I might have to look into planning a road trip down there. I noticed this was done by a guest blogger and I just read your submission guidelines. Do you know when your guest blogging opportunities will be open again? Thanks. Actually, it was a sponsored post, which I continue to accept. If interested, you can reach me via the contact form.